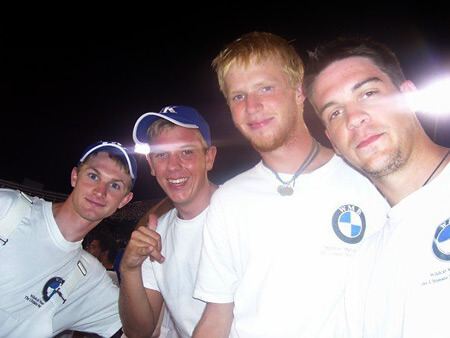 Matt Proffitt, a 2006 member of Carolina Crown, submitted this photo. This is a photo from a University of Kentucky football game. In the baritone section there are four different drum corps represented. From left to right: a member from the Cavaliers, Troopers, Bluecoats and Carolina Crown. I'm on the far right, am the section leader of UK's baritone section. This is the first time since I have marched at the University of Kentucky that we have had more then one person from a DCI corps represented in my section. We also have the most representation of corps members than any other section.